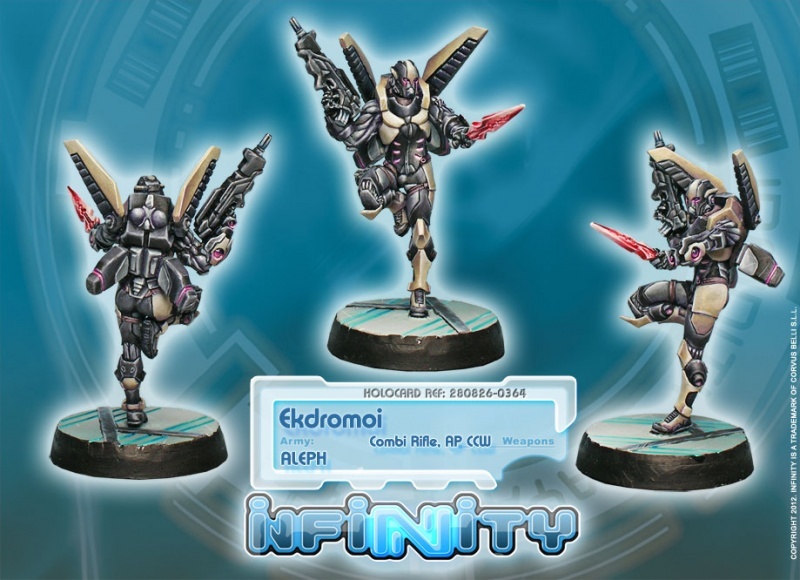 The Ekdromoi (classical Greek: “Runners”) are a special rapid intervention unit of the Assault Subsection, deployed where they are necessary, which is usually the hottest spots of a combat zone. In Ancient Greece, the Ekdromoi were a corps of light hoplites able to act outside of their phalanx in quick actions, reacting to the many vicissitudes of battle. 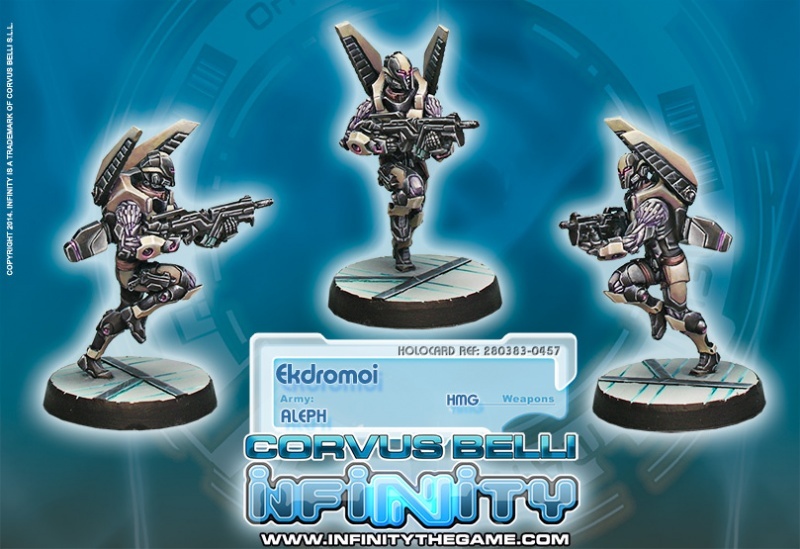 In the same way, the Ekdromoi of the Assault Subsection specialize in combat actions far from their own lines and requiring great mobility and troubleshooting skills. It is in fast and bloody coup de grâce actions where the Ekdromoi especially shine. Do you know who were the first to capture a Morat high officer alive? Do you know who destroyed the Seed-Embryo storage at Kaphiri, in the Shasvastii rearguard? You are right, the Ekdromoi of course! Usually the Assault Subsection sends this unit on missions with high risks and low chances of success… expecting them to return victorious! And you can be sure that for now, the Ekdromoi have not disappointed. 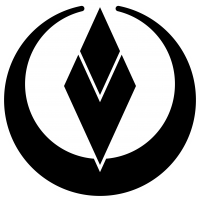 This page was last modified on 3 April 2018, at 10:21.